Al Qaeda announces India wing, renews loyalty to Taliban chief. 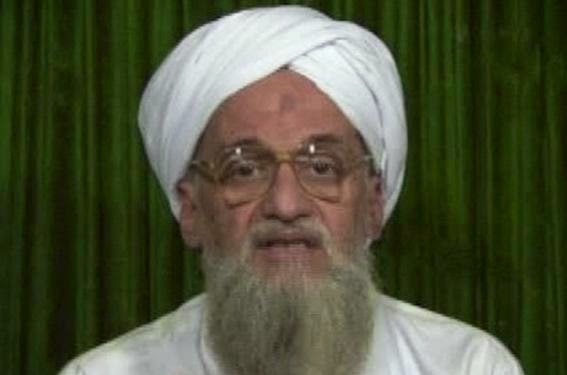 DUBAI | Msn News | 06 Sep 2014 : : Al Qaeda leader Ayman al Zawahri on Wednesday announced the formation of an Indian branch of his militant group he said would spread Islamic rule and "raise the flag of jihad" across the subcontinent. In a 55-minute video posted online, Zawahri also renewed a longstanding vow of loyalty to Afghan Taliban leader Mullah Omar, in an apparent snub to the Islamic State armed group challenging al Qaeda for leadership of transnational Islamist militancy. Zawahri described the formation of "Al Qaeda in the Indian Subcontinent" as a glad tidings for Muslims "in Burma, Bangladesh, Assam, Gujarat, Ahmedabad, and Kashmir" and said the new wing would rescue Muslims there from injustice and oppression. Counter-terrorism experts say al Qaeda's aging leaders are struggling to compete for recruits with Islamic State, which has galvanized young followers around the world by carving out tracts of territory across the Iraq-Syria border. Islamic State leader Abu Abu Bakr al-Baghdadi calls himself a "caliph" or head of state and has demanded the loyalty of all Muslims. The group fell out with Zawahri in 2013 over its expansion into Syria, where Baghdadi's followers have carried out beheadings, crucifixions, and mass executions. As well being an indirect repudiation of Islamic State, the announcement could pose a challenge to India's new prime minister, Narendra Modi. He has already faced criticism for remaining silent about several incidents deemed anti-Muslim, underscoring fears that his Hindu nationalist followers will upset religious relations in the majority Hindi nation.